Maline Exclusive Serviced Apartments located within the heart of Phnom Penh. Leading innovative and modern apartments developed over our history. Our mission is to provide authentic hospitality by making a difference in the lives of the people we touch every day, and to become the most preferable apartments in Cambodia, the Kingdom of Wonder. 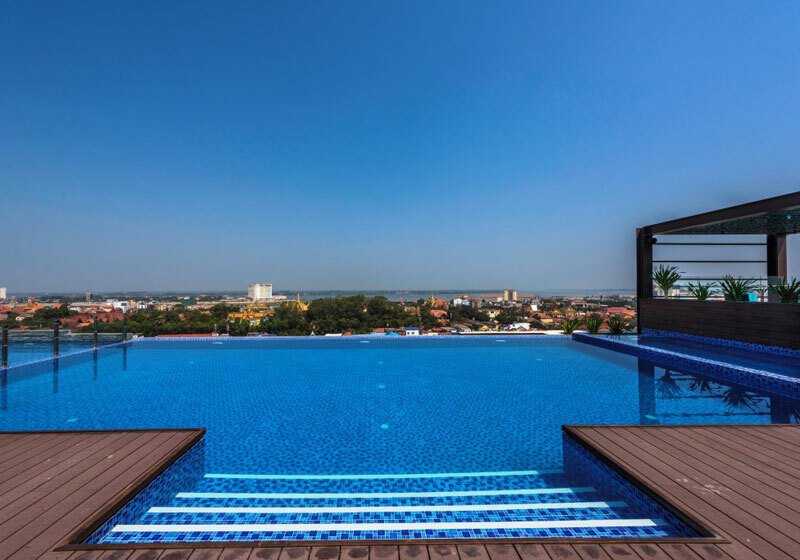 Our 13th floor rooftop offers a panoramic view of Phnom Penh city, from the Independence Monument to the gorgeous scenery of the Mekong River. It is the ideal accommodation in Phnom Penh. Across the road there are restaurants, supermarkets, coffee shops, libraries, financial institutions and famous local attractions. The Royal Palace, National Museum and Riverside just within a walking distance. Short Description: Maline Exclusive Serviced Apartments located within the heart of Phnom Penh. Leading innovative and modern apartments developed over our history.